Situated in Monsanto, five minutes from the Passeio Marítimo de Algés, Lisbon Camping & Bungalows offers a great sleeping alternative to thousands of festivalgoers planning to attend the NOS Alive. The Lisbon Camping & Bungalows is a four star camping ground (highest rating in Portugal) which is considered one of the best in Europe, equipped with a pool, restaurant area, a bathhouse, tennis courts and mini-golf, among other facilities. For only €19, any valid ticket holder for the NOS Alive can stay overnight during the three nights of the festival, with his/her own tent. 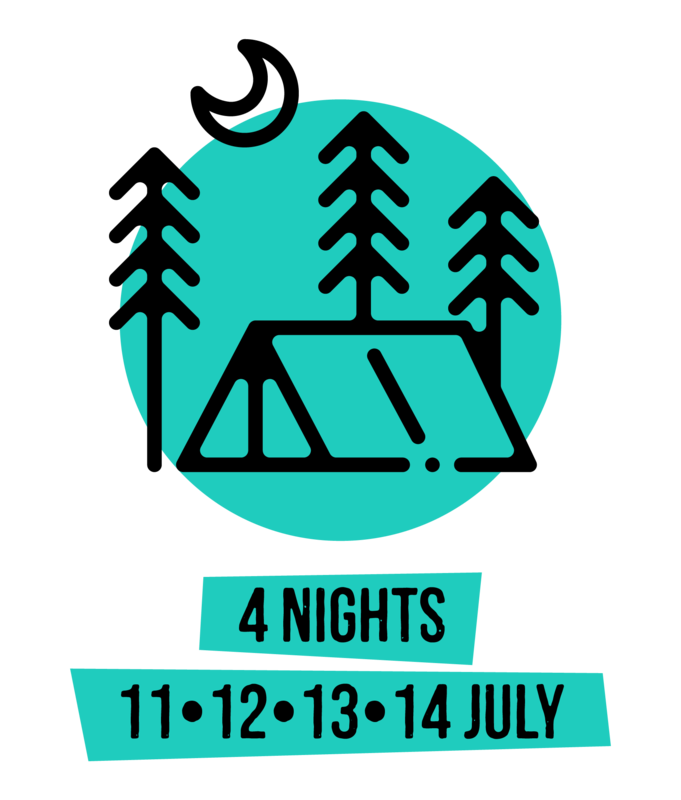 The camping ticket includes transportation between Lisbon Camping & Bungalows and the enclosure for the NOS Alive, from opening time until the festival doors are closed. Thanks to the success of this partnership, established since 2008, the NOS Alive and the Lisbon Camping have created, for this edition, new categories of access to it allowing for a stay of four or five nights, so that the festivalgoer may enjoy his/her holiday and get to know Lisbon and its surrounding areas. From 11th to 13th of July. Check out by 12h00 of the 14th of july. From 11th to 14th of July. Check out by 12h00 of the 15th of July. From 10th to 13th of July. Check out by 12h00 of the 14th of July. From 10th to 14th of July. Check out by 12h00 of the 15th of July. Includes Free Transfer between festival site and camping (5 minute ride), from 2.30PM to 4.45AM, every 20 minutes. All the Lisboa Camping tickets must be switched for a wristband during check-in. This deal includes camping with your own tent. To book a bungalow or caravan space, the camping ticket will not be valid and you should contact the Lisboa Camping office directly. Sleep’ em’ All offers a cared and high-quality solution that meets the current needs of public, technical teams and groups accommodation. It creates a unique atmosphere in a very welcoming and safe environment . They are a current and fun alternative, where a lot of colour and positive energy are the ingredients to create a differentiator “Camping” and another way to be and stay. Glamping and Boutique Luxury Camping are related concepts, which give charm and glamour to Sleep ’em’ All.